This alluring attire is the inspiration for the television series named as Small Ville. 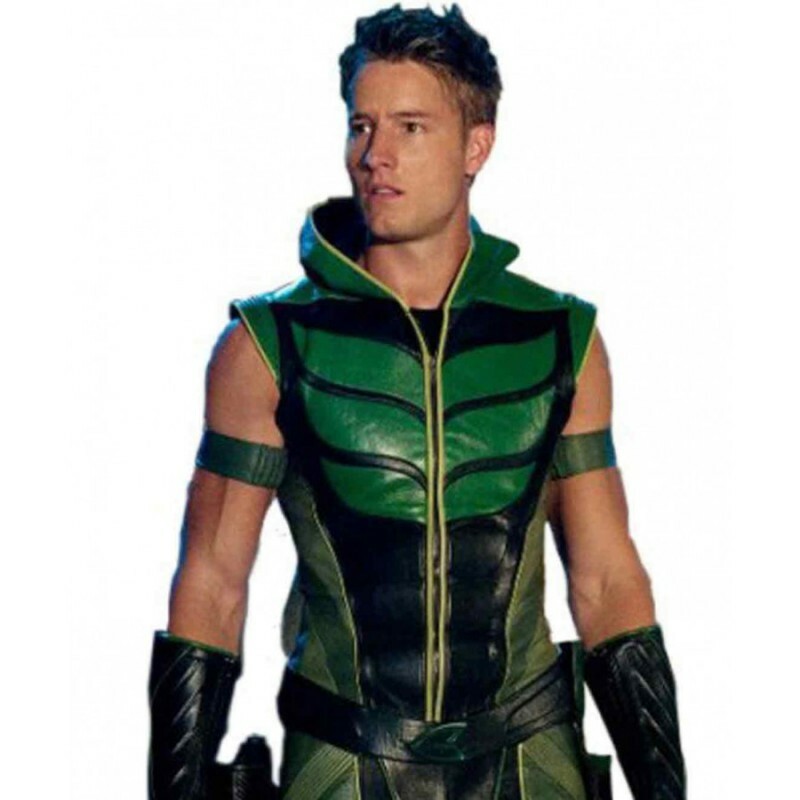 It was very popular serial and Justin Hartley wore “Green Arrow Halloween costume” in the drama serial. He looked gorgeous and received exceptional fame because of his tempting appearance. The classy look was only due to the garment which he donned in series. “Justice League Hoodie” is an outstanding vest that gives you stunning look. Premium quality of cowhide leather has been used in the manufacturing of the garment. The mishmash of black and green hues build the chicest façade. “Green Arrow Vest” is the essential part of latest vogue. You can wear it for Halloween to make your persona astounding.